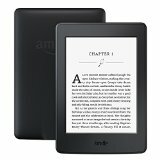 Home » Reviews » Kindle Paperwhite – Worth It For Kids Under 10? When we decided to embark on a year-long full-time RV road trip around the U.S., we were kind of forced to find out. You see, we didn’t have the room or weight allowance in our 5th wheel to bring along a lot of books. But with a 9 year old, a 7 year old, and a 5 year old, all of whom love to read, we had to find a solution. We thought about stopping at libraries along the way. But we quickly discovered most libraries won’t let you check out books unless you can prove you’re a local resident. So we decided to get a couple Kindle Paperwhites. 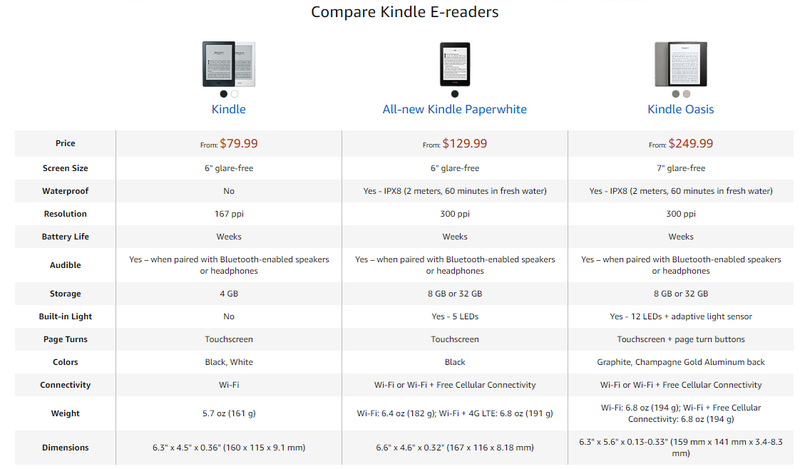 There are a three different versions of the traditional Kindle. They all use E-Ink technology that makes the experience similar to reading on a book with real paper. There are also a few versions of the Kindle Fire, which are more like an iPad or Android tablet with a full color display. While we do have one Kindle Fire in the house, this article will focus on our experience with the Kindle Paperwhite. The three versions of the traditional Kindle are the Kindle, Kindle Paperwhite, and Kindle Oasis. The displays on these are beautiful and mimic the texture and look of a real book. All three versions have a touchscreen–gone are the old school keypads. They have a very low glare, so can be used indoors or outdoors with no problem. Even reading in direct sunlight is just as good as a real book. The only difference between them is in the additional features, but all three of them work well for reading books. The basic model Kindle, also known as the 6″ Kindle, is the least expensive version. It is a basic e-reader with built-in WiFi, enough storage capacity to hold thousands of books, and battery life good enough to last several weeks. The downside to this basic version is the lack of a built-in light, so if you like to read in the dark, you’ll have to supply your own light source, just like with a real book. The next version up is the Kindle Paperwhite. It is the same size as the basic model, but it has a sharper display at 300 pixels per inch (versus 167 ppi on the basic model). 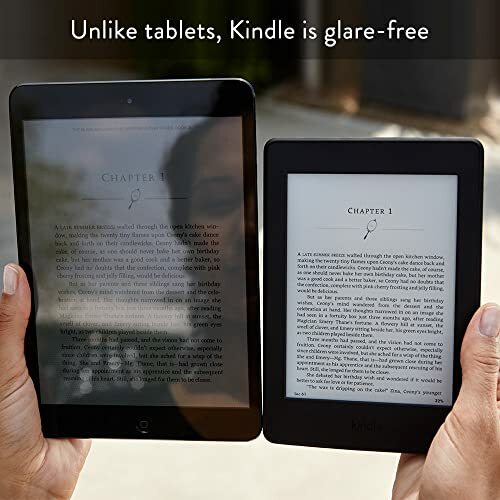 Unless you’re holding the Paperwhite side-by-side with a basic Kindle, you probably wouldn’t be able to tell the difference. They both have great displays, but the Paperwhite is brighter and sharper. The Paperwhite comes with built-in wifi, as well as an optional upgrade to lifetime 3G cellular data access. The best feature of the Kindle Paperwhite is the built in light. It is fully adjustable from very dim to very bright and beautifully lights up the display. It is perfect for reading in dim or dark rooms. The Paperwhite also has a 6″ display, and the whole device is just barely smaller, but slightly heavier, than the basic Kindle. The premium version is the Kindle Oasis. A step up from the Paperwhite, the Oasis has also has a built-in light, but with an adaptive sensor to automatically adjust the brightness level. It is the first waterproof Kindle. 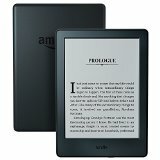 Its overall dimensions are smaller, thinner, and lighter than both the basic Kindle and Kindle Paperwhite, but it has a 7″ display. The Oasis also includes the standard built-in wifi along with free cellular data access. Which Kindle Did We Get? We decided to get two Kindle Paperwhites for the kids because of the built-in light. We are very happy with them. They are easy to read on in the car, out in the sunlight, in a dim room, or even at night in the dark. And how is it working out with the kids? They love it. They typically spend an hour or two each day reading on the Paperwhites. The 9- and 7-year-olds have been reading chapter books for a while now and primarily read those on the Kindle. They occasionally find a comic or graphic novel style of book and enjoy reading those as well, although they are harder to read on a Kindle and lack color in the pictures. The 5 year old is still an early reader and is not ready for chapter books yet. Although we have found some picture books that work on the Kindle, they aren’t as fun for her to look at since the pictures are all black and white. Most of the picture books we’ve found are not optimized that well for the Kindle either, so they end up with text that’s too small and you have to zoom in to read it. She still enjoys using the Kindle, but it’s definitely not the same experience as having real picture books and she prefers to have the real thing when she has a choice. Update (November 2016): The 5-year-old is now 6½ and is quickly turning into a book worm just like the older two. She is reading chapter books on the Kindle just like the older kids. Where do we get ebooks? When we first bought the Kindles, we went ahead and bought quite a few ebooks we thought they’d enjoy to give them something to get started with. But buying ebooks gets expensive, especially since they’re mostly between $3.99 up to $9.99. And with our kids being such avid readers, they burn through books like nobody’s business, so we were quickly faced with the prospect of having to spend more money to buy more ebooks. Then we found two different solutions. One free and one very cheap. The free solution is to use your library to get ebooks. Most libraries now have sizable ebook collections available for checkout and download in a format that works with Kindle. We’ve found though that library ebook collections still aren’t as extensive as their physical collections and are lacking in a lot of good content for kids. Also, it’s a bit of a hassle to download the book from the library’s website, then copy it over to the Kindle using a computer. The second solution to getting ebooks and the one we like best isn’t free, but it is very inexpensive and worth the $2.99 per month for such a hassle free solution. This solution provides the kids with access to thousands and thousands of age appropriate books right on their Kindle. It is called Amazon FreeTime Unlimited. 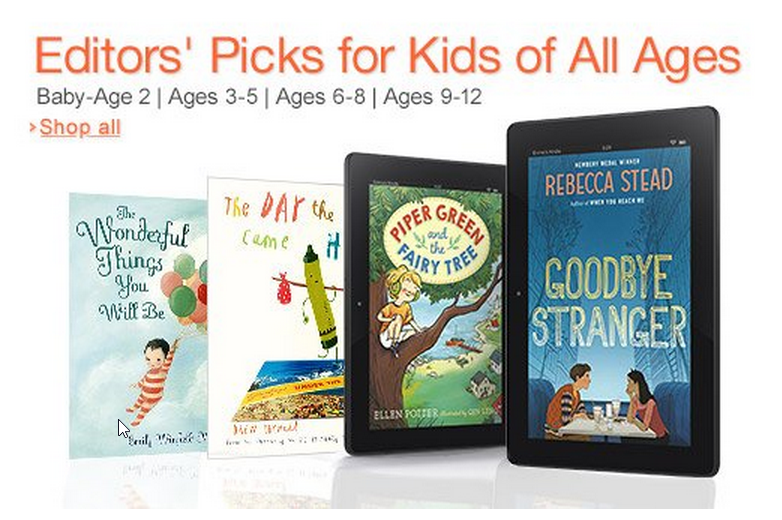 For $2.99 per month, the kids get unlimited access to a library of ebooks on the Kindle. They can browse through thousands of books categorized by age and interest. They just click on the books they want to read and they download instantly to the Kindle so they can begin reading them. There’s no limit to the number of books they can download and read in a month and there are so many available they won’t ever run out. We started using Amazon FreeTime by trying it for free for 30 days during a special promotion period. You can find out more here (The 30-day trial is not always available.) We liked it so much we kept up the subscription and now this is the primary way our kids get their books. All the popular kids books are available through this program. They’ve read things like Ramona, Narnia, Wimpy Kid, Sponge Bob, Batman, and many others. The Kindle has the best parental controls available on an E-reader device. You control exactly what your kids have access to. Regular tablets can be fun and the kids love them, but for reading, we like the Kindle Paperwhite best. Tablets come with too many distractions and we try to limit our children’s screen time. But we don’t consider reading on a Kindle as screen time. It is just like reading a regular physical book and we treat it that way. We feel secure and safe with our kids using the Kindle unsupervised because it has such good parental controls. And with the Kindle FreeTime subscription, we can give each of our children unlimited access to thousands of books appropriate for their age. The one downside to the Kindle is there isn’t that great of a selection of picture books for the 5 year old. We have found some picture books, but as I alluded to earlier, they are black and white and the formatting is usually not optimal. But, she still enjoys using the Kindle and looking at the books that are on there. For a younger child who isn’t a strong reader yet, I would recommend sticking with real books or going with a Kindle Fire, which has a color screen and will show many of the children’s picture books in color. The Kindle Fire also has reading apps designed for young children that will help them practice reading by reading aloud to them, recording them read, and keeping track of their progress. And what about battery life? Since we’re living in a 5th wheel, there’s a lot of traveling in our truck. We also spend nights in places where we don’t have power hookups so we can’t charge devices. This is where the Kindles really shine. The batteries last for weeks at a time. We share two Kindle Paperwhites between 5 people, so they’re turned on for at least 4-5 hours each day. Even with that heavy use, we still only charge them every 1-2 weeks. Update: Amazon has recently come out with a Kindle for Kids Bundle. It comes with a Kindle, a kid-friendly case, and a 2-year accidental damage protection warranty. Excellent article! 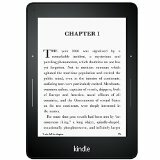 Answered all the questions I had about getting a kindle for my 10 and 7 year old! Thank you so much for writing it!! Extremely helpful!! I would recommend you have his dad sign up because the primary account on the kindle will be whoever pays for the subscription and they will need to manage it from there. Hi, thank you for your article. I have just bought a paperwhite for my 8yo but was confused how to set it up. Ideally it would be registered to my own Amazon account but with his profile so that I can restrict the books I allow him to read. I just called the Amazon helpline however and they said that’s not possible – if I set it up on my account he will have access to all my books which I don’t want. So it looks as though I have to create him an account of his own – do you find this is the case? 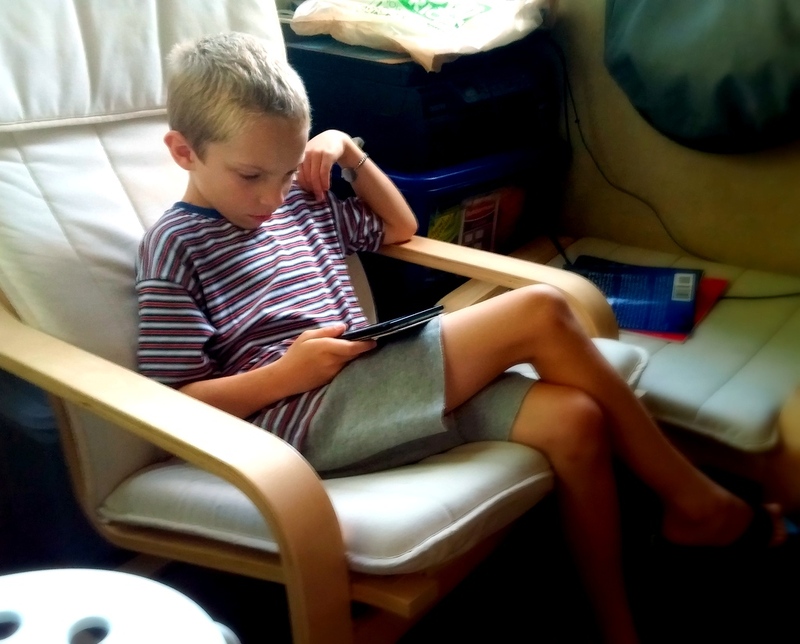 I was interested that you share Kindles with your kids – how do you manage it? Thank you. You have to sign up for Freetime Unlimited, which will allow you to have separate accounts for the kids on the Paperwhites. The downside to this is that they can only access books obtained through Amazon. You can’t add books you’ve obtained through other sources.